According to a report on Sunday, Twitter is working to launch an app for the fourth-generation Apple TV that would host live streams of select NFL games, the rights of which were purchased as part of the microblogging giant's bold foray into streaming services. Citing people familiar with Twitter's plans, The New York Times reports the company is in talks with Apple to launch a tvOS version of Twitter capable of supporting live video streams. Specifically, Twitter wants to capitalize on a live streaming deal inked with the NFL earlier this year for streaming rights to ten Thursday night games. Apple was rumored to be in the running for NFL's Thursday night games, but reportedly declined to enter a bid. For Twitter, the ten NFL match-ups will be an important first step toward engaging customers. The supposed tvOS app would further bolster Twitter's efforts in live streaming, which include sports, news and other video content properties. Twitter's tvOS property might one day become a one-stop shop for sports streams. After signing the NFL, the microblogging platform reached agreements with the National Basketball Association, Major League Baseball, the National Hockey League, Pac-12 Networks and Wimbledon, the report said. The company is also said to be in talks with Major League Soccer and the Professional Golfers Association. Some sports organizations are already taking advantage of Apple's platform. For example, MLB debuted its At Bat app for the fourth-generation Apple TV earlier this year with all-new streaming technology and extra features like split-screen viewing and stat overlays. Twitter is set to air the first NFL Thursday night game on Sept. 15. 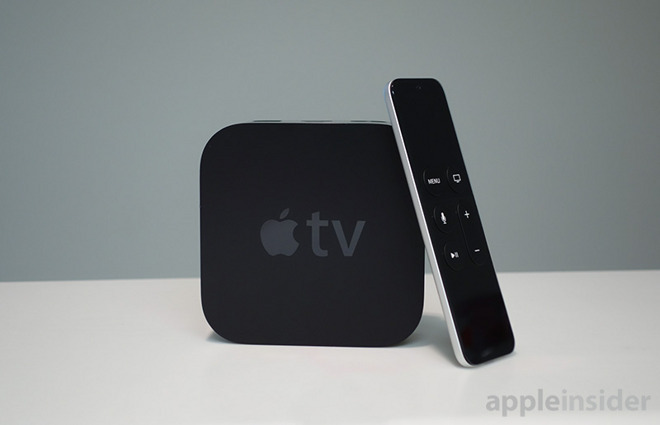 Whether the company can have an Apple TV app ready in time is unknown.